In a first study of its kind, Dr Hanna Nuuttila, currently at Swansea University's College of Science – together with scientists from the German Oceanographic Museum, the University of St Andrews and Bangor University – revealed how playing back porpoise sounds to an acoustic logger can be used to assess the detection area of the device, a metric typically required for effective monitoring and conservation of protected species. 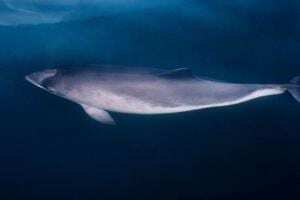 Harbour porpoises are best monitored using underwater acoustic dataloggers, which record the echolocation clicks used for navigation and foraging. This study looked at the most frequently used devices to record these animals and devised an experiment that allowed researchers to determine the range of loggers – something that previously hasn't been known.